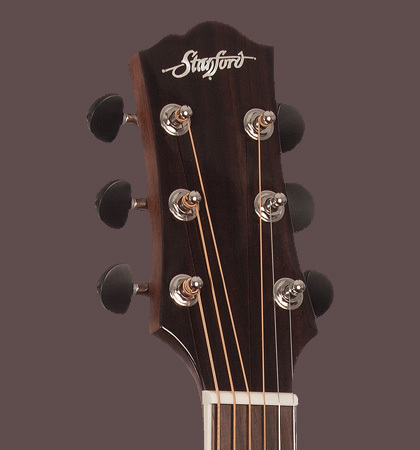 Stanford Stage guitars should meet certain standards. 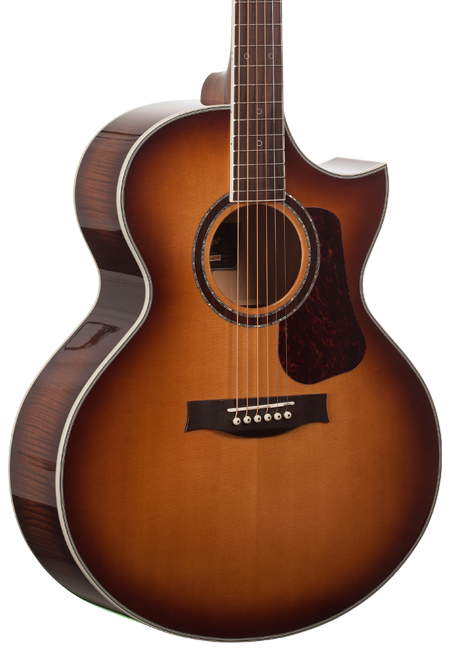 A professional sound and a cool look among the most important criteria for a good acoustic guitar for stage. 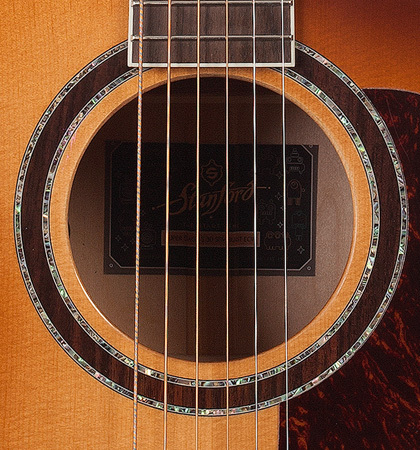 The “Super Stage S 30 SFM ECW” in Antique Burst meets these requirements with flying colors. The classic combination of solid sitka spruce top and laminated back and sides made of quilted maple not only look very chic, but give the guitar a bright and transparent sound. The extra deep drawn Florentine cutaway provides the necessary freedom of movement to the highest frets.Underneath the bone saddle there is a quality pickup installed, which may not be missing for a successful gig with highest sound requirements. The Nautilus Posydon convinces with its extremely natural sound and its linear sound transmission. 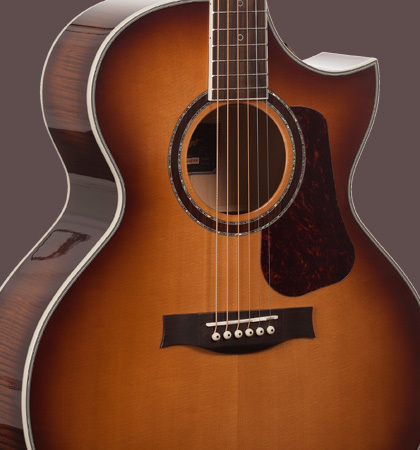 The sound of this premium stage guitar will not only inspire you but also your sound engineer!